This week the Supreme Court will hear Russell and others v Transocean International Resources Limited (Scotland) over two days commencing on Wednesday 26 October by Lords Hope, Brown, Mance, Kerr and Wilson. The case details are here. This appeal from the Court of Session (Scotland) involves seven cases selected from hundreds of claims raised before the Aberdeen Employment Tribunal. 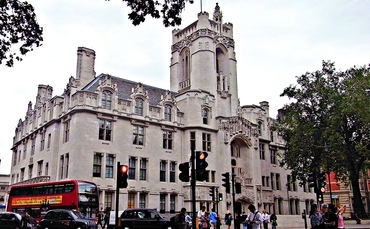 The Supreme Court is to decide if the provision of “field breaks” for offshore oil and gas industry workers discharges the respondent employer’s obligation under the Working Time Regulations 1998 to provide workers with four weeks’ annual leave. On Wednesday 26 October 2011, the Supreme Court will hand down judgment in the appeal of Gale & Anr v Serious Organised Crime Agency which was heard on 23 – 25 May 2011. Our case summary can be found here. A two day appeal in the Privy Council starting on Tuesday 25 October will be heard by Lady Hale, Lords Walker and Clarke, Sir Paul Girran and Sir Terence Etherton. In Dany Sylvie Marie Dhojaven Vencadasmy & Ors v The Electoral Commissioner & Ors (Mauritius) the issue to be considered is whether Regulation 12 (5) of the National Assembly Elections Regulations 1968 infringes sections 1, 11, 12 and 16 of the Constitution. The appellants proposed to stand in the Mauritian general elections and submitted their nomination papers without declaring which of the four specified communities in Regulation 12 (5) they belonged to. The Supreme Court of Mauritius rejected their applications for an order directing the Returning Officers to insert their names on the list of candidates. The case details are here. On Tuesday 25 October 2011, the Privy Council will hand down judgment in Total Mauritius Limited v Mauritius Revenue Authority, which was heard on 19 June 2011. The case details are here. Rainy Sky S. A. and others v Kookmin Bank, heard 27 July 2011. Human Genome Sciences Inc v Eli Lilly and Company, heard 18 July 2011. 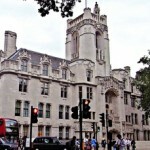 Leave a reply on "In the Supreme Court w/c 24 October 2011"